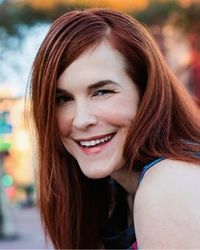 Jessica Chisum, also credited as Jessica Chism, is a voice actress that portrayed Plum in Mario Golf and Birdo, Princess Daisy and Nina in Mario Tennis. She has been in the business since 1998, and is currently a voice and acting coach in San Francisco. ↑ "Yoshiller". (July 15, 2009). Mario Tennis walkthrough - Star Cup 2/2 + Credits. YouTube. Retrieved January 25, 2016. ↑ Jessica Chisum's Voice123 profile. Retrieved January 25, 2016. ↑ 3.0 3.1 Chisum's profile on Topo Swope Talent. Retrieved January 31, 2016. This page was last edited on September 7, 2018, at 02:58.